Reduce your exposure to brute force attacks from the virtual machine blade - One way to reduce exposure to an attack is to limit the amount of time that a port on your virtual machine is open. Ports only need to be open for a limited amount of time for you to perform management or maintenance tasks. Just-In-Time VM Access helps you control the time that the ports on your virtual machines are open. It leverages network security group (NSG) rules to enforce a secure configuration and access pattern. 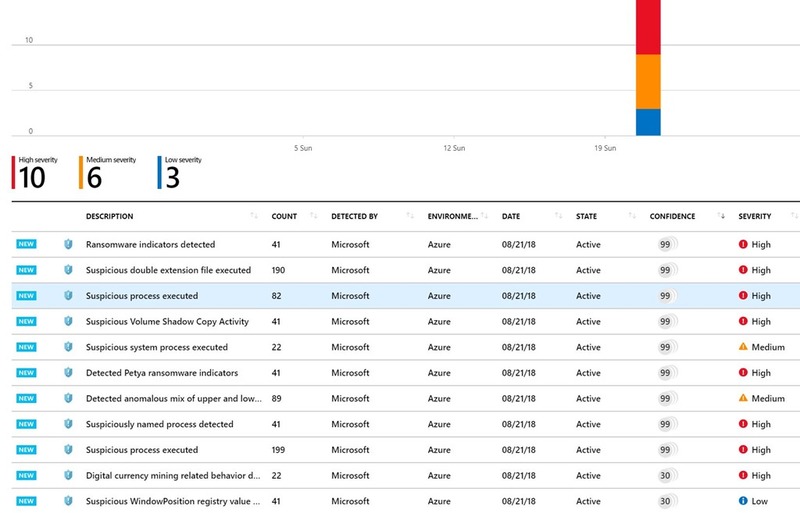 Respond to threats faster with Security Center’s Confidence Score - Azure Security Center provides you with visibility across all your resources running in Azure and alerts you of potential or detected issues. Security Center can help your team triage and prioritize alerts with a new capability called Confidence Score. The Confidence Score automatically investigates alerts by applying industry best practices, intelligent algorithms, and processes used by analysts to determine whether a threat is legitimate and provides you with meaningful insights. Tuesdays With Corey | Awesome Demo of Azure Migrate tool - Corey Sanders, Corporate VP - Microsoft Azure Compute team sat down with Abhishek Hemrajani, Principal PM Manager on the Azure Compute Team to talk about Azure Migrate utility. 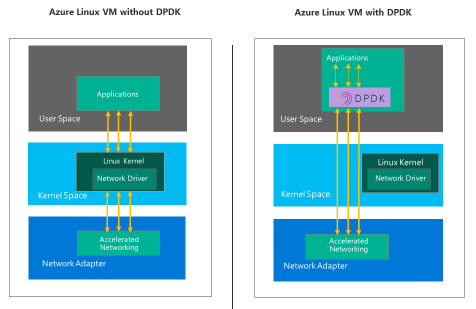 DPDK (Data Plane Development Kit) for Linux VMs now generally available - Data Plane Development Kit (DPDK) for Azure Linux Virtual Machines (VMs) offers a fast user space packet processing framework for performance intensive applications that bypass the VM’s kernel network stack. DPDK provides a key performance differentiation in driving network function virtualization implementations. Customers in Azure can now use DPDK capabilities running in Linux VMs with multiple Linux OS distributions (Ubuntu, RHEL, CentOS and SLES) to achieve higher packets per second (PPS). Azure SQL Data Warehouse Gen2 now generally available in France and Australia - Azure SQL Data Warehouse (Azure SQL DW) is a fast, flexible, and secure analytics platform offering you a SQL-based view across data. It is elastic, enabling you to provision a cloud data warehouse and scale to terabytes in minutes. Azure SQL DW Gen2 brings the best of Microsoft software and hardware innovations to dramatically improve query performance and concurrency. Compute Optimized Gen2 tier is now available in 22 regions. Azure Friday | Azure Stack - An extension of Azure - Ultan Kinahan joins Scott Hanselman to discuss how Azure Stack is an Azure consistent cloud platform that you can place where you need it, regardless of connectivity. It provides several key advantages to your cloud strategy, edge/disconnected capabilities, addresses governance and sovereignty concerns, and the ability to run PaaS services on premises. Multi-member consortium support with Azure Blockchain Workbench 1.3.0 - Continuing a monthly release cadence, Azure Blockchain Workbench 1.3.0 is now available. This release offers faster and more reliable deployment, better transaction reliability, ability to deploy Workbench in a multi-member Ethereum PoA consortium, simpler pre-deployment script for AAD, and sample code and a tool for working with the Workbench API. 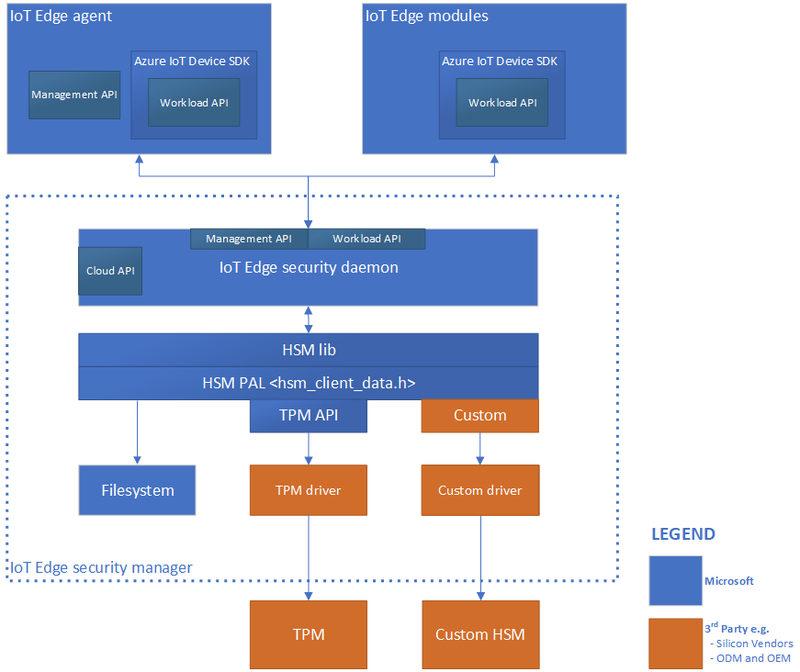 Hardening the security of Azure IoT Edge - The Azure IoT Edge security manager is a well-bounded security core for protecting the IoT Edge device and all its components by abstracting the secure silicon hardware. It is the focal point for security hardening and provides technology integration point to original device manufacturers (OEM). The IoT Edge security manager in essence comprises software working in conjunction with secure silicon hardware where available and enabled to help deliver the highest security assurances possible. Public Environment Repository in Labs - We're releasing a public repository of Azure Resource Manager templates for each lab. You can use the repository to create environments without having to connect to an external GitHub source by yourself. The repository includes frequently used templates such as Azure Web Apps, Service Fabric clusters, and developer SharePoint farm environments. Speech Services August 2018 update - Announces the release of another update to the Cognitive Services Speech SDK (version 0.6.0). With this release, we have added the support for Java on Windows 10 (x64) and Linux (x64). We are also extending the support for .NET Standard 2.0 to the Linux platform. The sample section of the SDK has been updated with samples showcasing the use of the newly supported languages. There are also changes that impact the Speech Devices SDK. Cross-subscription disaster recovery for Azure virtual machines - Announces cross-subscription disaster recovery (DR) support for Azure virtual machines using Azure Site Recovery (ASR). You can now configure DR for Azure IaaS applications to a different subscription with in the same Azure Active Directory tenant. Now you can replicate your virtual machines to a different Azure region of your choice within a geographical cluster across subscriptions, which will help you meet the business continuity and disaster recover requirements for your IaaS applications without altering subscription topology of your Azure environment. Disaster recovery between Azure regions is available in all Azure regions where ASR is available. The Azure Podcast: Episode 243 - Azure File Sync - Sibonay Koo, a PM in the Azure Files team, talks to us about a new service that just went GA - Azure File Sync. She gives us use-cases for using the new service as well as tips and tricks for getting the most out of it. Migrate Windows Server 2008 to Azure with Azure Site Recovery - Azure Site Recovery lets you easily migrate your Windows Server 2008 machines including the operating system, data and applications on it to Azure. All you need to do is perform a few basic setup steps, create storage accounts in your Azure subscription, and then get started with Azure Site Recovery by replicating servers to your storage accounts. Azure Site Recovery orchestrates the replication of data and lets you migrate replicating servers to Azure when you are ready. You can use Azure Site Recovery to migrate your servers running on VMware virtual machines, Hyper-V or physical servers. 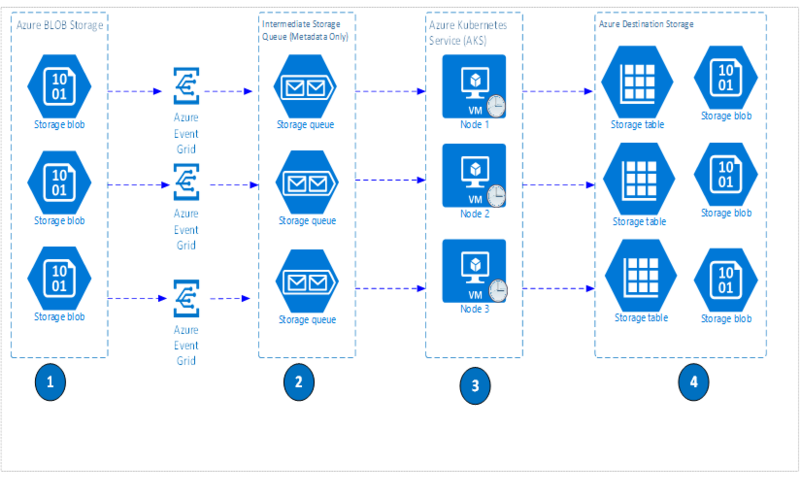 Azure Block Blob Storage Backup - Azure Blob Storage is Microsoft's massively scalable cloud object store. Blob Storage is ideal for storing any unstructured data such as images, documents and other file types. Although Blob storage supports replication out-of-box, it's important to understand that the replication of data does not protect against application errors. In this blog post, Hemant Kathuria outlines a backup solution that you can use to perform weekly full and daily incremental back-ups of storage accounts containing block blobs for any create, replace, and delete operations. The solution also walks through storage account recovery should it be required. Logic Apps, Flow connectors will make Automating Video Indexer simpler than ever - Video Indexer recently released a new and improved Video Indexer V2 API. This RESTful API supports both server-to-server and client-to-server communication and enables Video Indexer users to integrate video and audio insights easily into their application logic, unlocking new experiences and monetization opportunities. To make the integration even easier, we also added new Logic Apps and Flow connectors that are compatible with the new API. Learn how to get started quickly with the new connectors using Microsoft Flow templates that use the new connectors to automate extraction of insights from videos. WebJobs in Azure with .NET Core 2.1 - A WebJob is a program running in the background of an App Service. It runs in the same context as your web app at no additional cost. Creating a WebJob in .NET Core isn't hard, but you have to know some tricks, especially if you want to use some .NET Core goodies like logging and DI. In this post, Sander Rossel shows how to build a WebJob using .NET Core 2.1 and release it to Azure using Visual Studio, the Azure portal, and VSTS. Azure Machine Learning in plain English - Data scientist and author Siraj Raval recently released a 12-minute video overview of Azure Machine Learning. The video included in this post begins with a overview of cloud computing and Microsoft Azure generally, before getting into the details of some specific Azure services for machine learning. //DevTalk : App Service – SSL Settings Revamp - App Service SSL settings experience is one of the most used features in App Service. Based on customer feedback, we made several changes to the user experience to address and improve the overall experience of managing certificates in Azure App Service. Check out this post to learn about improvements to editing SSL bindings, private certificate details, uploading certificates, and adding public certificates. Azure Content Spotlight – API Management Suite – VSTS extension v2.0 - This spotlight is for a VSTS extension: the API Management Suite. The purpose of the extension to VSTS is to bring API Management into the release lifecycle allowing you to do many of the activities supported in the Azure Portal. Also included is a security checker to ensure all released endpoints are secure. The source is available on GitHub. Operationalize Your Deep Learning Models with Azure CLI 2.0 - Francesca Lazzeri, AI & Machine Learning Scientist at Microsoft, shows how to deploy your deep learning models on a Kubernetes cluster as a web service using Azure Command-Line Interface (Azure CLI) 2.0. This approach simplifies the model deployment process by using a set of Azure ML CLI commands. AI Show | Sketch2Code - Learn how this application transforms any hands-drawn design into a HTML code with AI by detecting design patterns, understanding handwritten text, understanding structure, and then finally building HTML. Azure Marketplace consulting offers: May - The Azure Marketplace is the premier destination for all your Azure software and consulting needs. In May, twenty-six consulting offers successfully met the onboarding criteria and went live, including: App Migration to Azure 10-Day Workshop from Imaginet and Cloud Governance: 3-Wk Assessment from Cloudneeti. Internet of Things Show | Azure IoT for Smart Spaces - Meet Lyrana Hughes, a developer in the Azure IoT team, who gives us an early look at the spatial intelligence capabilities she is working on. Lyrana and her team are working with partners in the world of smart building and smart spaces to develop this new set of capabilities within Azure IoT. Internet of Things Show | Microsoft Smart IoT Campus - The Microsoft Campus in Redmond, WA is (obviously) a smart campus that leverages IoT in many ways. The IoT Show managed to get a pass to visit one of the labs where the Applied Innovation team of the Microsoft Digital Group tests and develops new IoT technologies for Smart Buildings. In this episode, Jeremy Richmond, from McDonald-Miller, demos a solution developed with the Applied Innovation team and used for the maintenance of the HVAC systems across Microsoft's Campus, integrating IoT sensors information and devices with Azure IoT and Dynamics 365 Connected Field Service. Driving industry transformation with Azure – Getting started – Edition 1 - Through dedicated industry resources from Microsoft and premier partners, new solutions, content, and guidance are released almost daily. This first post in what promises to be a monthly series aggregates a series of the newest resources focused on how Azure can address common challenges and drive new opportunities in a variety of industries. Expanded Azure Blueprint for FFIEC compliant workloads - Announces the general availability of the expanded Blueprint for Federal Financial Institution Examination Council (FFIEC) regulated workloads. As more financial services customers moving to the Azure cloud platform, this expanded Blueprint explains how to deploy four different reference architectures in a secure and compliant way. It also takes the guesswork out of figuring out what security controls Microsoft implements on your behalf when you build on Azure, and how to implement the customer-responsible security controls. A Cloud Guru’s Azure This Week - 24 August - This time on Azure This Week, Lars talks about three new features on Azure: VNet service endpoints for MySQL and PostgreSQL, Azure HDInsight Apache Phoenix now supporting Zeppelin and Azure API management extension for VSTS. Also, participate in the AI challenge from Microsoft to win great prizes.